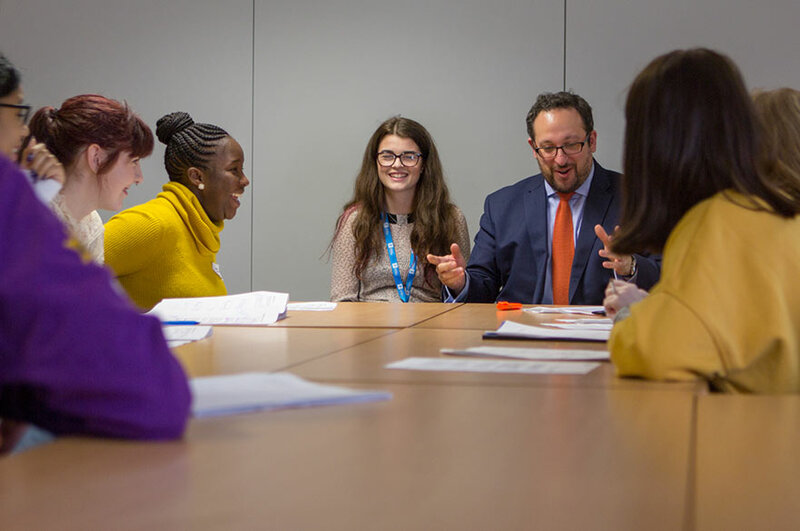 The Pathways to Law programme inspires and supports students in exploring a range of careers in law, and builds essential knowledge, skills and confidence required to continue to higher education and the early stages of their professional careers. Through academic skill sessions, university application support events and spending time on campus, students will get a sense of what university life will be like and become familiar with their surroundings in a higher education setting. Professional networking sessions and work experience placements will draw links between university study and professional practice. From interacting with practicing lawyers, students will learn how continuing to higher education will help them access a career in their field of interest. All these events are presented in a relaxed environment, with no pressure placed upon students to commit to a university at any stage on the programme. The scheme is run at no cost to the participants; all events are catered, and the university partnerships running the scheme will cover all travel expenses incurred. Your child can find out more by visiting the Sutton Trust website.